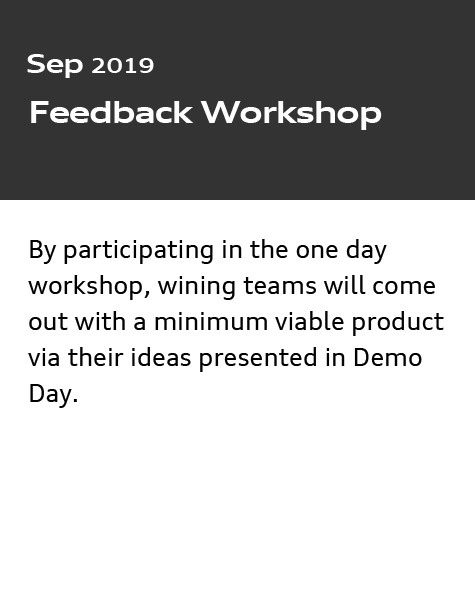 ideas to an international and diverse panel of judges. 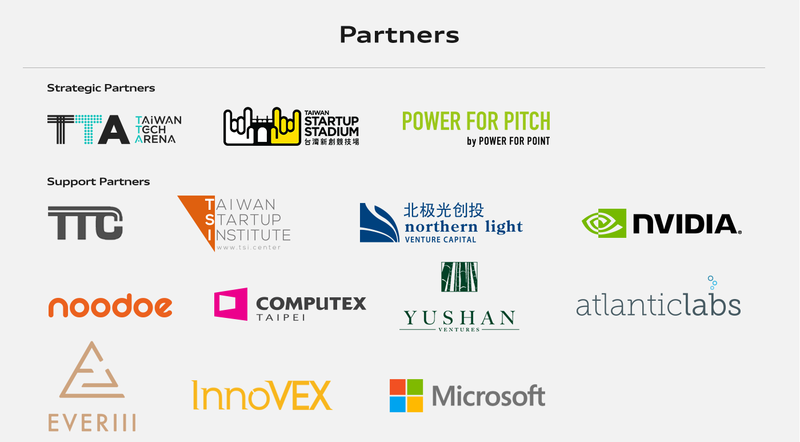 industry leaders, venture capitalists, investors, and key opinion leaders. 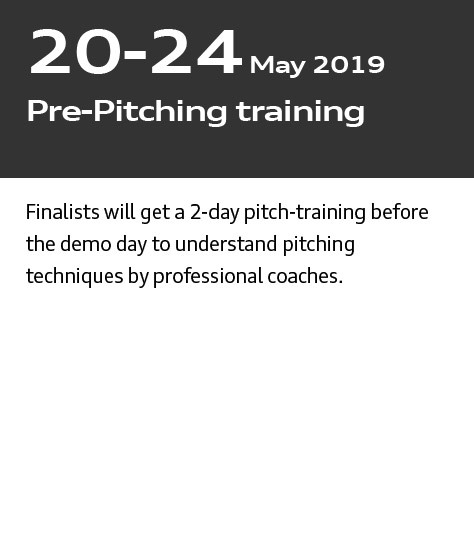 Q: What are the selection criteria? 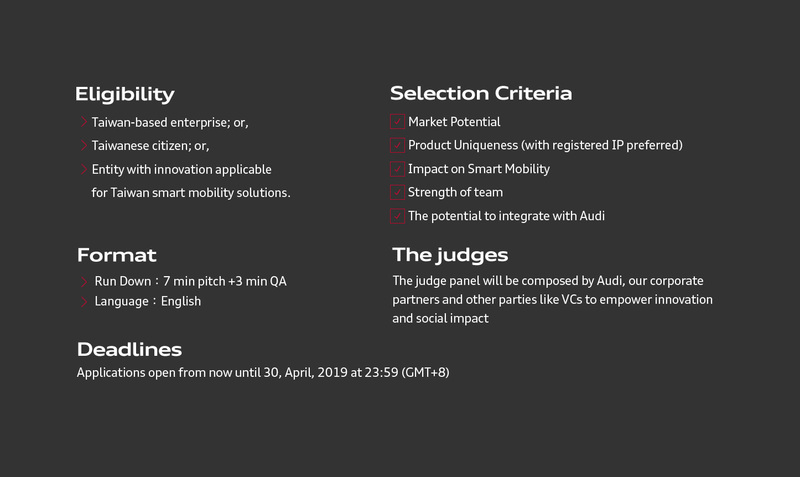 The judges will be looking at a wide range of factors to evaluate and select the winners. 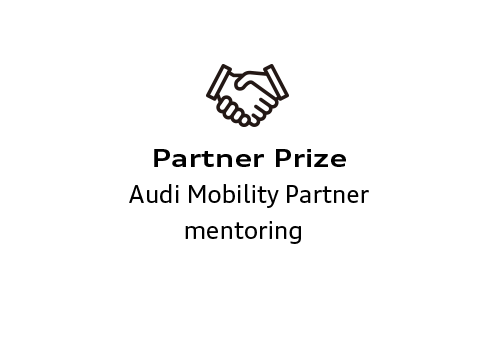 Among their criteria will be market potential, product uniqueness (with registered IP preferred), impact on Smart Mobility, strength of team and the potential to integrate with Audi.  Make sure to be able to backup all information with solid evidence. 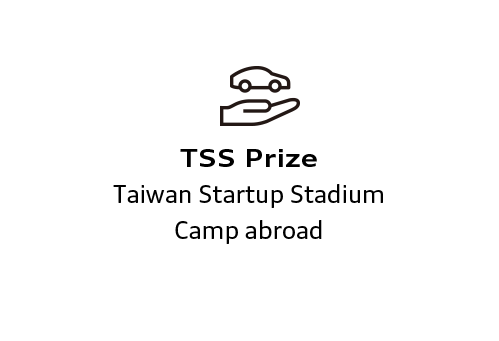 Q: My startup is not automotive. 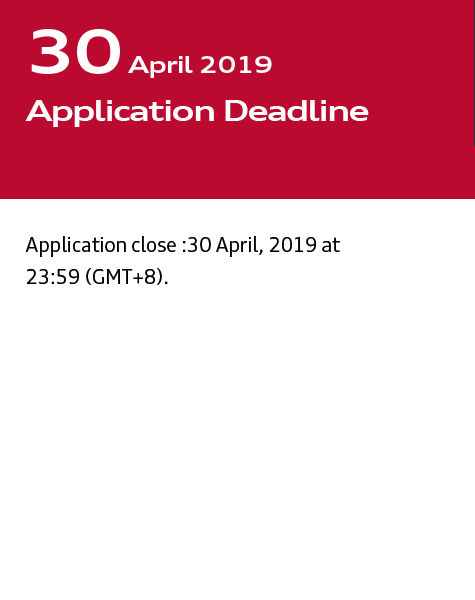 Can we still apply? 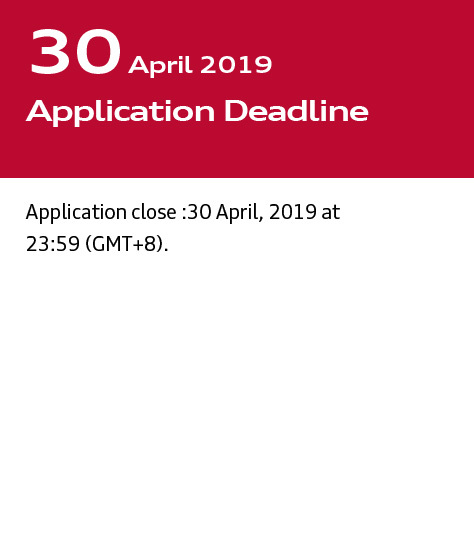 We highly encourage you to apply as some of the most interesting technologies that could make a difference in the automotive industry come from totally different areas. 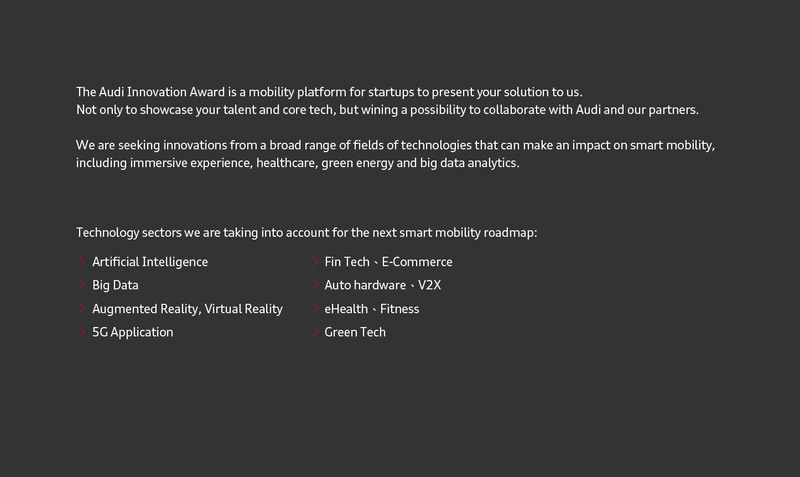 We are curious to hear what challenge your solution could solve in the automotive industry. 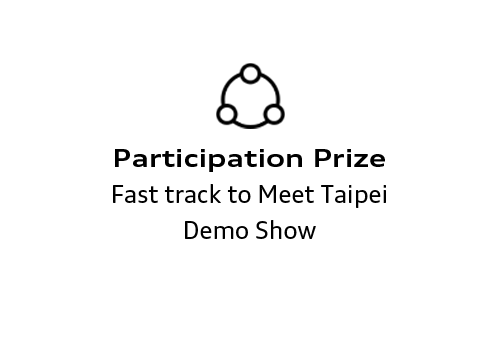 You are eligible to apply if you are a Taiwan based enterprise, a citizen of Taiwan or if your innovations are applicable for the Taiwan mobility eco-system. 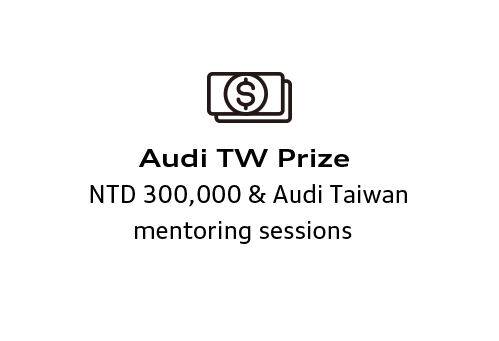 Q: If we are among the winners will Audi buy our technology or invest in our company?  If your innovation has truly inspired us we may be interested to integrate your solution into our products or perhaps make you to one of our suppliers. 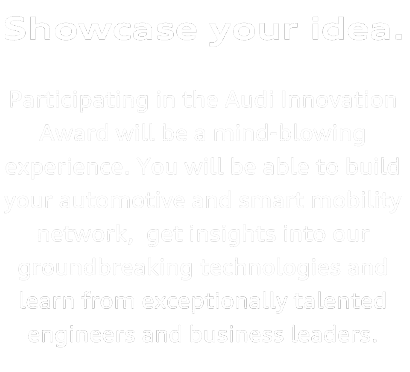 Audi will be able to give you guidance and support to make your innovation outstanding.  Through the event you will also be exposed to multiple other potential investors who may have interest to acquire or invest in your company.  Q: What are your policies on intellectual property protection and confidentiality obligations? The protection of the property rights lies solely in the hands of the startup. 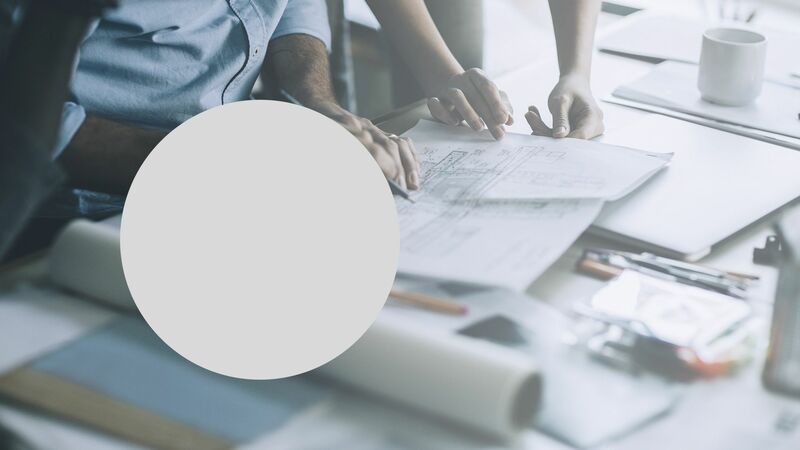 In case you would like to share intellectual property right, which may lead to the value proposition of the innovation, we advise you to get legal advice prior to making any disclosure to us. 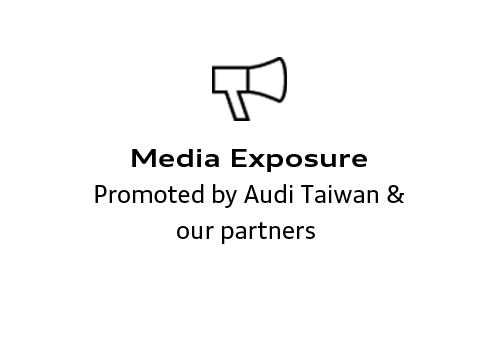 Audi will not require the disclosure of any confidential data from any company/individual that is involved in the process. 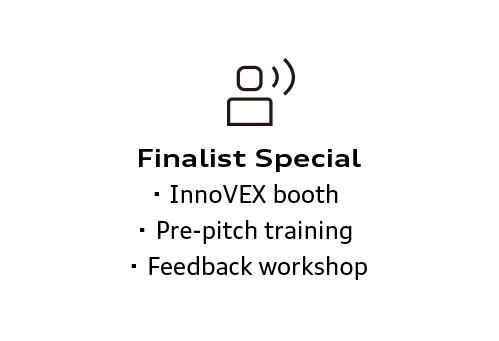 Q: If my startup is not selected as a finalist can I still attend the event? 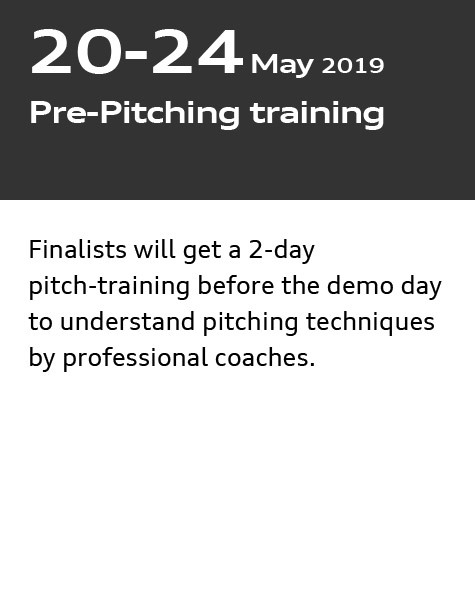 If you are not among the finalist you can preregister for the event. 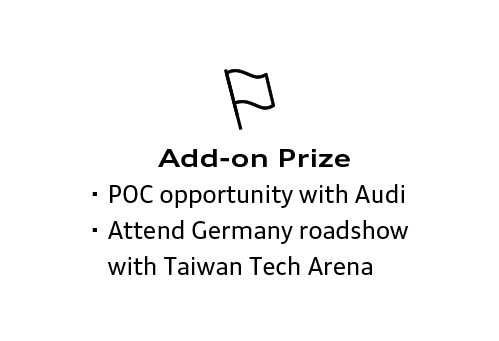 To ensure that only relevant entities attend the event, Audi will select the most suitable entities in advance of the event. 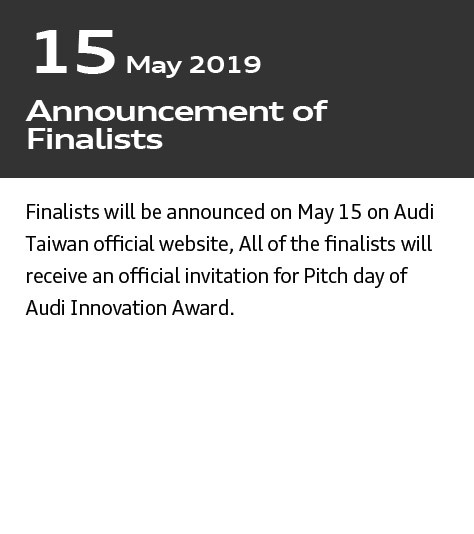 Q: If my startup is overseas and selected as a finalist will Audi support my travel costs? 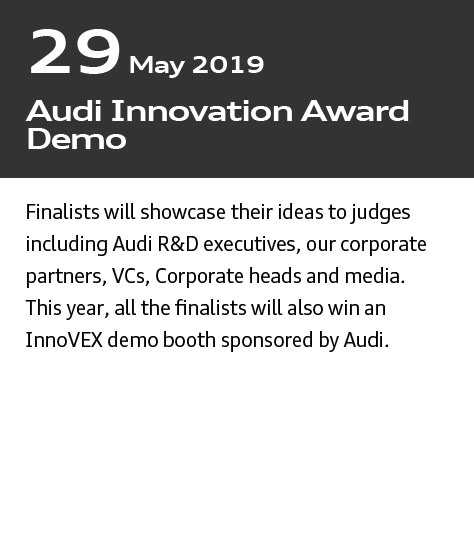 Audi will sponsor the booth and the setup for the finalist to exhibit their solutions at the event. All other costs have to be taken care of by the startups. 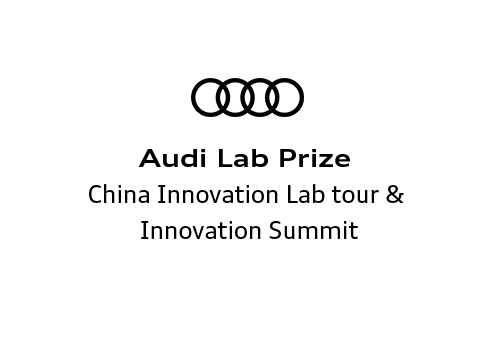 Any question about Audi Innovation? an inquiry. We’re always willing to answer! 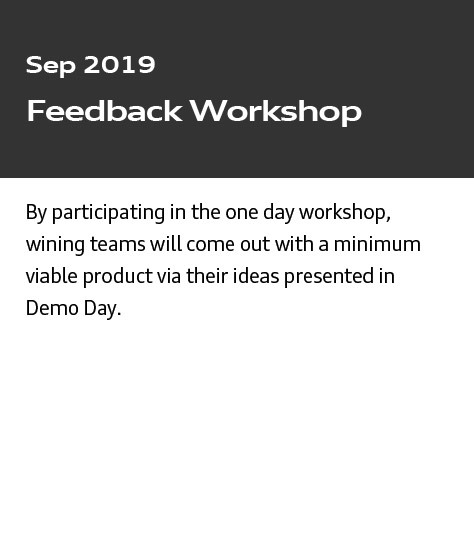 Startups will have the opportunity to enter a competition, presenting their ideas to an international and diverse panel of judges. 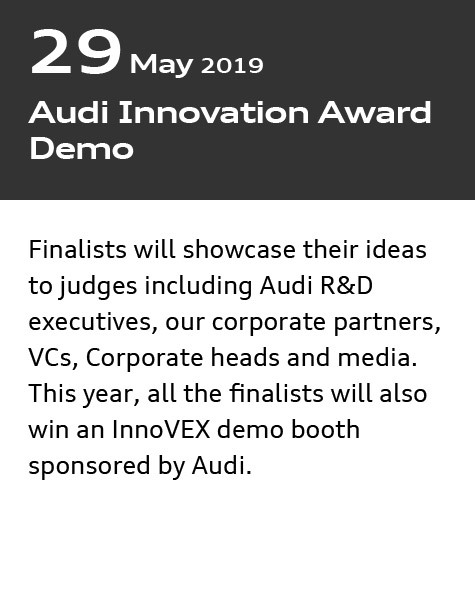 The selected startups will have a chance to collaborate with Audi, network with industry leaders, venture capitalists, investors, and key opinion leaders.  Q: My startup is not automotive.Can we still apply? 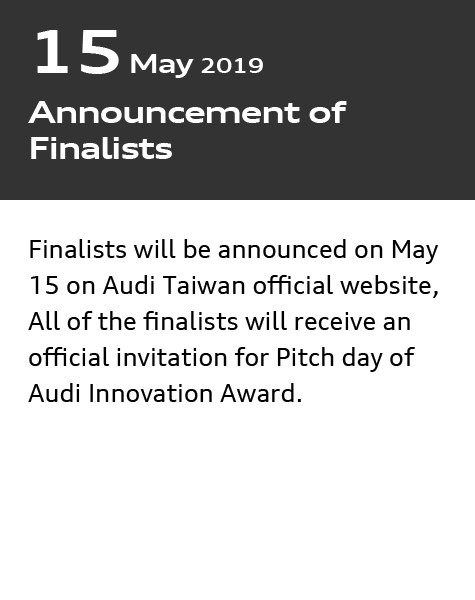 Q: If my startup is overseas and selected as a finalist will Audi upport my travel costs?